We have been busy at TheSage.com making samples as we try to prepare for the Christmas season. Isn’t it so crazy that we are 3 months away from Christmas? Today we made a room spray with our Exotic Potions Fragrance Oil. This is one of our newer fragrance oils, and it has quite an interesting smell to it. If you enjoy the odors of apothecary shops, herb shops, spice markets and the like then I think you will find this mysterious scent a great addition to your soaps and personal care products. I think that it is really hard to define this fragrance using words alone so we whipped up a batch of Exotic Potions Room Spray for you to try. Making this room spray did not go as I had planned. I followed our usual recipe for room sprays which is: 97% water, 2% Spray Clear Emulsifier, and 1% fragrance oil. I made a batch of about 100 ounces and as I was making it I noticed that it was turning a milky white color. I allowed it to sit overnight because sometimes these room sprays can take awhile to clear up. But it never did. Turns out that there is an incompatibility with this recipe. 99.9% of the time the Spray Clear Emulsifier works really well, but there is always that small chance that the elements in it don’t work with the elements in the fragrance oil. Now, this is not necessarily a failure, it just doesn’t look as I expected. I believe the lesson to be learned here is the importance of a test batch. Before you go making a huge amount of something that you have never made before, make a test batch. There are so many components coming into play that sometimes things go south and there is nothing you can do. 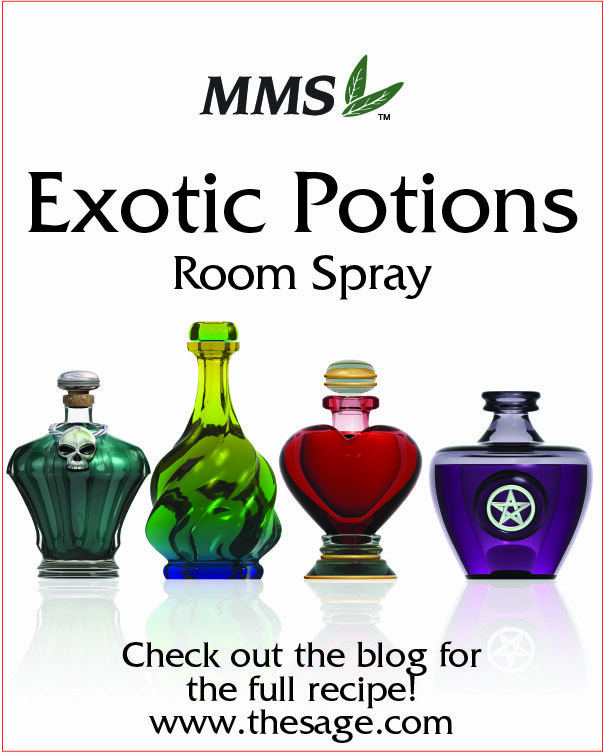 I am still going to send out these samples of Exotic Potions Room Spray so you can see how they turned out. They are still great to use, still smell magnificent, they just have a milky white color. If you are interested in sampling our Exotic Potions Fragrance Oil then ask for a sample of this room spray in your next order. May I suggest using another carrier for a room spray with this persnickety scent? Or make soap. Exotic Potions will work fabulously in soap.